This intermediate course offers more challenging exercises and variations of the exercises learned in the Introductory course. 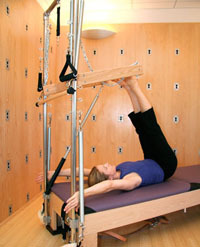 Participants should have completed the Introductory course or have previous experience in Pilates. Class size is limited to five students to allow for individual attention.